For 15 years, UFO enthusiast John Greenewald has been collecting material related to the US military’s Project Blue Book investigation into unidentified flying objects and publishing it online through his website, The ​Black Vault. But last week, he was forced to remove hundreds of thousands of decla​ssified records due to a copyright claim from an unlikely source: the genealogy site Ancestry.com. Ancestry.com’s subsidiary Fold3 has digitized the publicly available records, which are mostly things like letters describing UFO sightings (including drawings on occasion); the standard questionnaire the Air Force sent in response; and any conclusions the military could draw; and made them available on its website for browsing. Greenewald acknowledged that he was using images scraped from Fold3’s document trove, but also said that his collection of records included materials that are unavailable anywhere else—none of which are available on his site now (although many are on Fold3’s). But, after talking to an attorney with experience with the often complex and murky realm of copyright claims, it doesn’t sound like Ancestry’s DMCA claim is legally sound. Basically, since the Project Blue Book materials aren’t copyrighted, simply reproducing them in another format—as in digitizing them—isn’t enough to be considered a new creative work, which would be protected by copyright laws. Burgoyne added that absent a copyright claim, Ancestry.com could bring legal action against Greenewald and The Black Vault for violating the company’s terms and conditions. But, the lawyer said that such cases aren’t as strong. 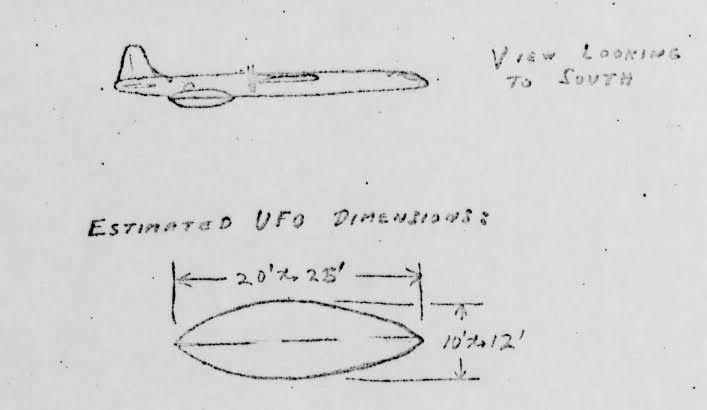 One of the documents from Project Blue Book. Project Blue Book was a US Air Force program that systematically and scientifically analyzed UFO reports to determine whether they posed a national security risk—such as a new kind of Soviet spy plane—or were aliens actually visiting Earth. Running from 1952 until 1970, the the Air Force researchers examined 10,147 UFO reports, and determined the origin of 9,501 to be mostly astrological phenomena, satellites, and radar glitches. The remaining 646 reports didn’t have enough information to conduct a thorough analysis. The Air Force didn’t find any aliens, according to the p​roject documents. In any event, The Black Vault—which hosts over a million additional declassified government documents—won’t be publishing Blue Book materials in the near future. If you’re curious about UFOs, and how the military handled sightings, you’ll have to head over to F​old3 for now.